PATRIOT GAME is a collaborative, participatory video with fellow members of the Houston Chapter of United We Dream (UWD). Exhibited at Civic T.V. Laboratories, from March 17, 2018 thru the end of April. 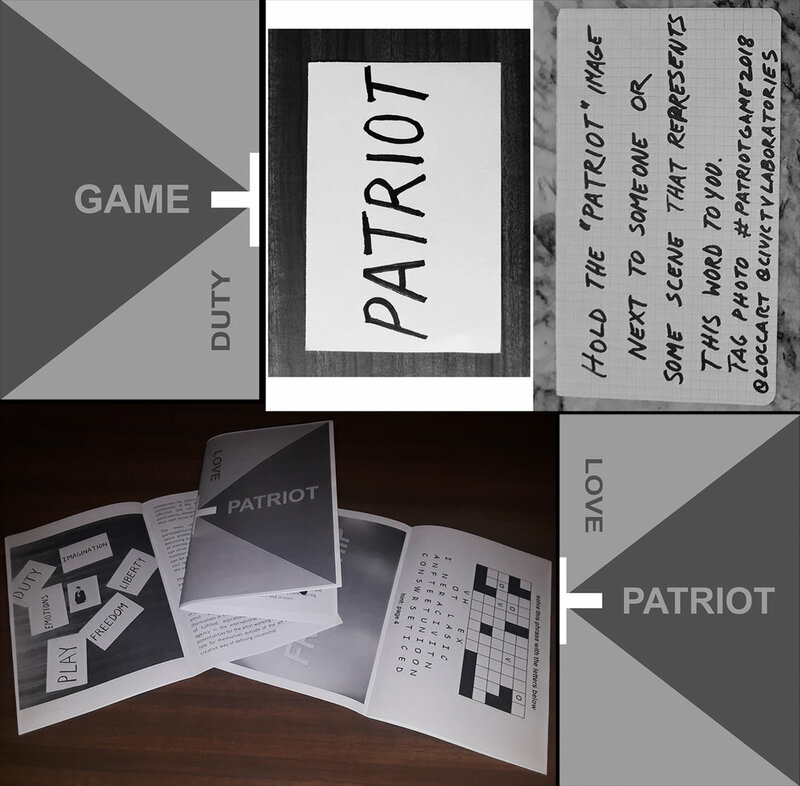 PATRIOT GAME offers the general public a chance to redefine concepts, terms and the vernacular associated with the United States social contract and values and notions of patriotism. Alternating with traditional terms are new expressions, for example, "Play", "Emotions" or "Imagination", that seek to expand the notions and concepts of citizenship and patriotism. UWD members conceived their own interpretations and meanings of new terms which reveal alternative perceptions on the social contract. The exhibition became an opportunity for the public to follow UWD’ers lead to re-examine conventional terminology, within our present-day context, while exploring how new lexicons make for a more expansive and inclusive notion of what it means to be an American. 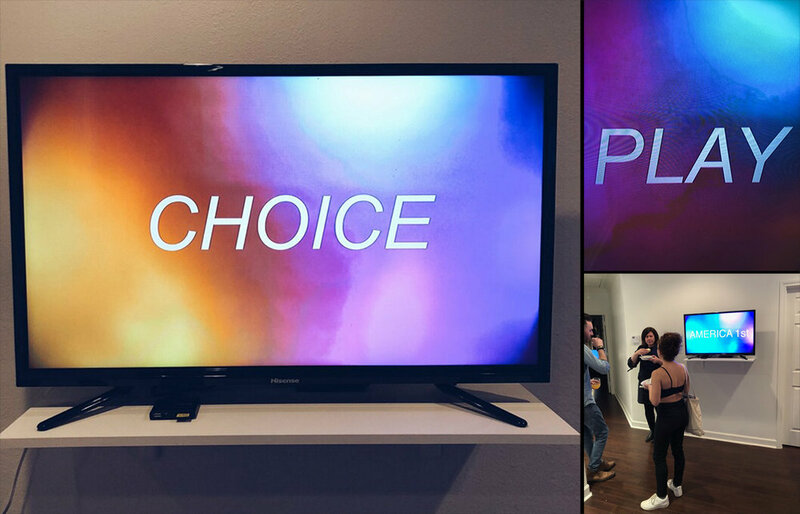 Who determines the meaning of words like Liberty, Freedom and Choice? Do traditional terms of US patriotism allude to half-fulfilled and elusive achievements? Are concepts of citizenship solely interpreted according through the nation state’s environmental, political, cultural and psychological condition? Is there space in our American lexicon to introduce new vocabularies such as Reason and Friendship, that express positive liberty, internal goals and aspirations? PATRIOT GAME’s experience is for all viewers to participate and consider a new lexicon for civic conversation in the United States and for all who live within its borders. and 6) a “zine” for the exhibition. The zine contains word puzzles and searches of the terms, with short essays about the concepts and philosophical framework of the art work in the exhibit. 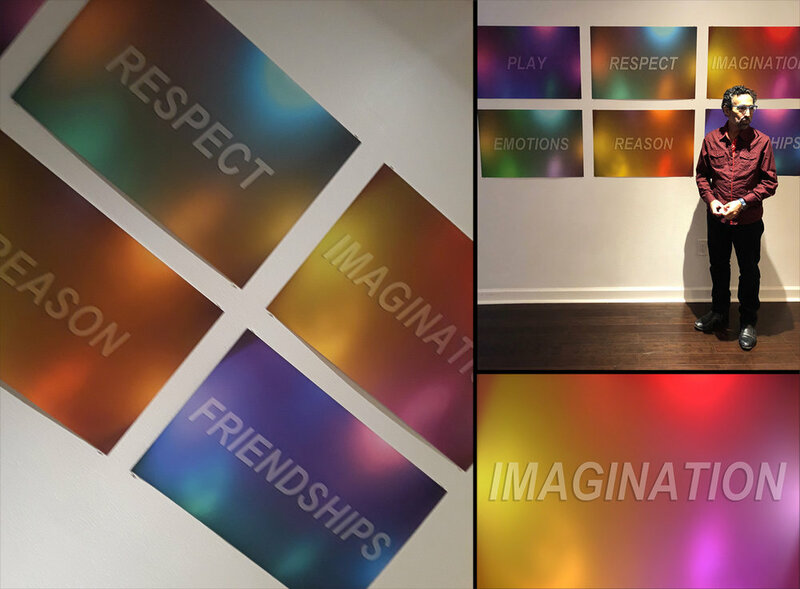 Images included the LEXICON prints, an Instagram game, with the central pages devoted to the Central Human Capabilities of Martha C. Nussbaum. The PATRIOT GAME Zine is offered free of charge. Contact me for a free pdf zine!